I am so blessed!!!!! This past week, one of my garden friends gifted me with a bucket of pro-mix enabling me to start my onions, leeks and celeriac seeds. Still unable to get into my shed for the needed seed starting containers, decided to retrieve the mushroom containers from the recycle bin and repurpose as seed starting containers (after cutting a hole in each corner for drainage). Made my own plant labels/markers using toothpicks, paper and clear tape. 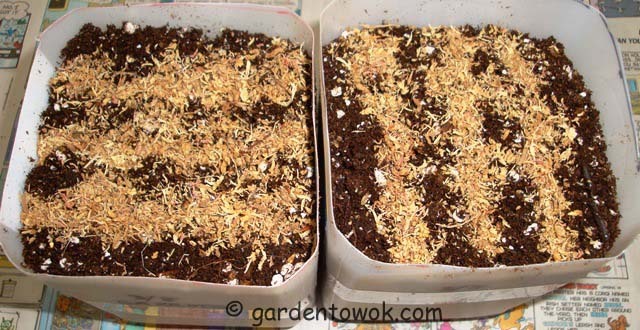 After filling containers with pro-mix, I tap each gently on a hard surface to settle the mix, made 2 shallow rows, sow the seeds, cover lightly with milled sphagnum moss, water (from the bottom so as not to disturb the seeds), cover with plastic film and place in a warm place. Will check daily for germination. Place under grow light once seedlings emerge. Growing more varieties of onion but fewer plants of each. Experimenting to see which ones grow better in my garden and which ones store better. You must be wondering: What is that light color stuff marking the rows in the first photo? It is NoDampOff. A unique blend of finely milled Wisconsin long fibered sphagnum moss. Sphagnum moss naturally sterile feature prevents damping-off disease. I have been using this and similar products for years and have had very good results. So you can imagine how upset I was when I realize my bag of sphagnum moss is in the shed and I cannot get to it. Fortunately I found the above at Poughkeepsie Adams in the greenhouse section (I previously found it in their garden center may be it will be on the shelf at a later date). The cost is $4.99 for 222 cu.in (3.6L). A little goes a long way and this bag will last me a number of years. Two (2) seeds to a cell, will thin to one after they germinate. Half of the celeriac is for my daughter and son-in-law. They do not have grow light so I start some seeds for them. As you can see from the above photo, the celeriac seeds on the left is very tiny, the size of a pin head. To the right are 3 onion seeds for comparison. Some of you may recall my 2/13/12 post titled: Two (2) Must Have Seed Starting Tools, click here for post. Continuing my carrots transplant experiment. Again some of you may recall my 2014 fall carrot experiment, click here (and scroll down) and here for the 2 posts. Using Jaune Obtuse du Doubs (a yellow carrot) and Cosmic Purple for this experiment. 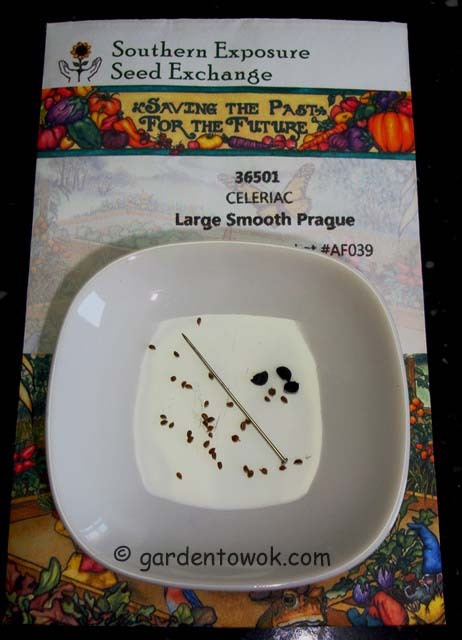 Seeds are sown in 6-inch deep milk containers (holes cut in the bottom for drainage). I plan to allow the carrot roots to grow as deep as possible in the container. The longer roots will be easier to work with allowing me to keep them straight during transplanting also there should be less root damage. Will keep you up-to-date with my experiment. This week I should start seeding lettuce and Asian greens also rooting Purple and Georgia Jet sweet potatoes for Locust Grove Heritage Vegetable Garden (purple for myself as well, I do not like Georgia Jet). According to the weather report, we are going to have above freezing temperature during the day for a whole week. Yeah, a heat wave! (Nighttime temp will still be below freezing though.) Which means I should clear away (again) the accumulated snow from the front of my shed door and hopefully the ground underneath the ramp will thaw allowing me to adjust it so I can open the door. By the end of the week the snow piles should be lowered and perhaps we will see patches of grass somewhere.What a winter this has been! First day of spring is only 11 days away. 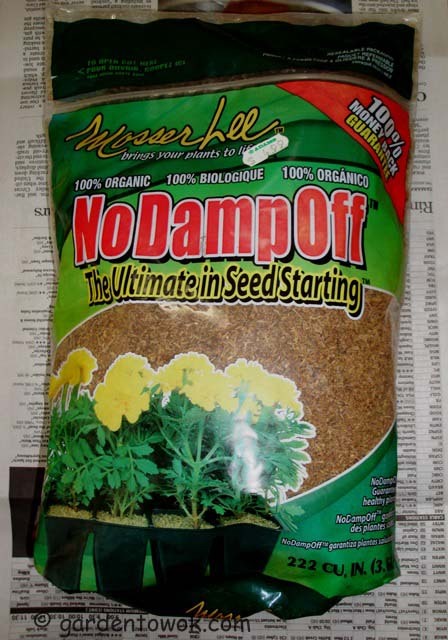 This entry was posted in Gardening, Harvest Monday, Heritage vegetable garden, Locust Grove, Vegetables and tagged carrots, celeriac, damping-off disease, indoor seed starting, leek, Poughkeepsie, sphagnum moss. Bookmark the permalink. I don’t think it will really be spring here in 11 days. I think it might arrive in April sometime. I just keep hoping for a change in the weather. I guess I got it as the temperatures are at least back to normal for now. I could use a heat wave though. I hope you can get to your seed starting supplies soon. I agree with you but am still hopeful even though the snow by my driveway is so solidly packed. The snow pile may still be around come summer. I started the tomato and bell pepper seeds 10 days ago and the tomato seeds are doing really good now. I am so excited that spring has finally arrived! Yesterday the temperature has reached 16C degrees. Amazing! Glad to learn your tomato seedlings are doing well. The weather is just gorgeous today and will be for the whole week, spring is in the air. I’ll have to add a pen cap to my list of gardening tools. What a great idea! I use a toothpick a lot. The moistened tip will pick up a small seed and then I can get it to the potting soil. I hope you can get into your shed soon! Must try your moistened toothpick tip, thanks for sharing. I also love the idea of the pen cap, brilliant! And recycling the mushroom containers is a great idea, too. How exciting to have the first of your seeds sown. Now I must wait patiently for the seeds to germinate. That is an ingenious idea with the pen cap! I’m doing the “plant more varieties, but fewer of each” for several of my starts this year as well. I’m also trying to do some preliminary figuring out on the quantities we need by really paying attention to what we use the most of & what just sits there in the fridge. You are such a good planner and organizer. I love your tips here. I haven’t started anything from seed in years and years, but you’re motivating me to try it this year. Using the pen cap with it’s little trough is genius, Norma, just genius. Should I just buy seeds at my local nursery, or is there a place you recommend for mail order? I do not have a special mail order place that I order from, it is whether the company carries the seeds I am looking for. 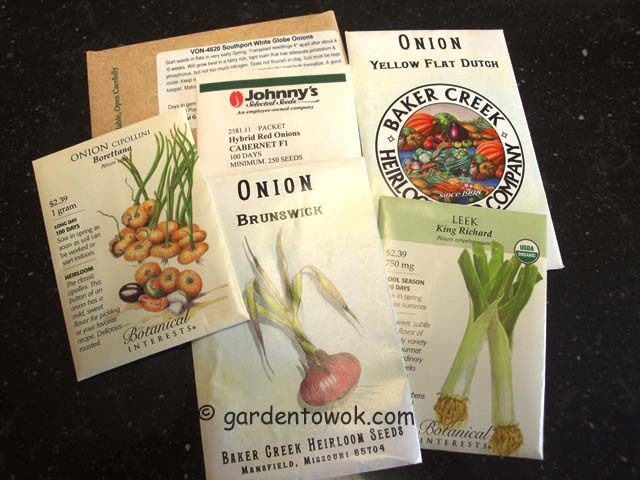 I do get many of my seeds from my local nursery/garden center as they carry seeds from many different companies. I love seed time. I smiled when I saw Johnny’s seeds. Their operation is about a mile and a half down the same road I grew up on. Glad my post brought you smile and fond memories. Thanks for the idea of using pen cap to handle tiny seeds, I use a moistened bamboo cocktail skewer a lot to handle seeds. I don’t think I’ve seen NoDampOff sphagnum moss here, will have to keep an eye out for it. 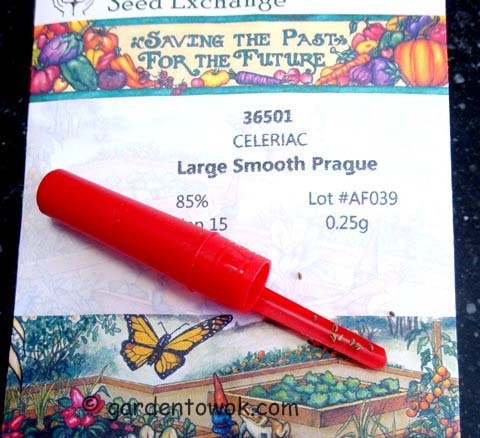 I use the pen cap for large seeds also. Going to try the bamboo skewer. Doesn’t have to be NoDampOff any milled sphagnum moss will serve the purpose. Lucky you norma, it’a a heavy rainy season here in Indonesia, i think i’m gonna wait another three months for starting sprouting.. Your indoor micro herbs will turn out good provided they are in a sunny location. Onions are easy to grow in containers if you have a balcony or sunny window you can grow them in NYC for sure. Spring’s still a long time coming here in Chicago! You’re lucky! Hope you will not have to wait too long, this sure has been a challenging winter. That’s what the calendar says but mother nature did not get the message 🙂 A great week to you too. Happy to be sharing. Thanks for stopping by and taking the time to leave a message. I too am anxious to reap the rewards from my garden, unfortunately the grounds are still covered with a thick layer of snow and ice. I am hoping for a good harvest year. With my aging eye sight, soon I am going to need magnifying glass to see the tiny seeds. Those seeds sure are tiny! I cant wait to see how they grow! Amazing how those tiny seeds grow into a large head of celeriac. In the fall I should remember to take a photo of the seeds next to the harvest. You are certainly well-prepared, dear Norma! I have sown Swiss red chard, bright lights chard, red onions, spring onions, New zealand spinach, beets, red chioggia beets, salad leaves, etc. My husband made a large cold frame: 2 meter x 82 cm. We have radishes popping op, salad leaves, lamb’s lettuce, etc! I am looking forward to reading all about your garden. You are way ahead of me. no, not really! It is still too cold & too much rain for sowing directly into the ground. Maybe soon, the peas in the full ground & we are going to core them with a protected duster! Hope your weather warm up soon and the ground dry out so you can direct sow.